At Camp B’nai Brith we recognize that each individual camper and staff comes to camp from different backgrounds and with different degrees of Jewish education. Some of them are of different faiths, and at CBB we create a safe space where inclusion and Jewish values are top priority. For some, we know that CBB is their first and only immersive Jewish community while for others it compliments their already rich Jewish experiences. Our aim is to instil Jewish values into everyday camp life and provide the campers with positive Jewish experiences. 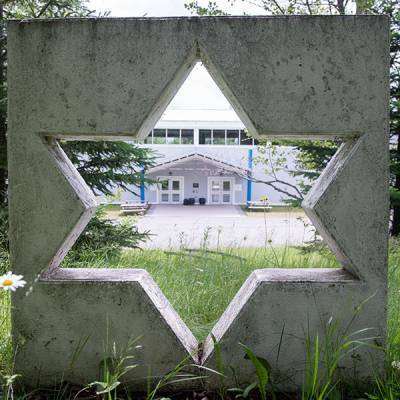 CBB also has Israeli Shlichim (staff) throughout the summer and take part in the P2K Partnership, that brings 17 year old Israeli camper to experience a Canadian summer with our SIT program during second session. Over the course of our first session our own SITs take part in a volunteer mission trip to Israel in order to expose them first hand to what Jewish values are all about. Jewish life is breathed into every day at camp through certain daily rituals. We have our Hebrew word of the day and our Israeli staff share interesting facts and news about Israel. We sing Hamotzi before eating and end every meal with Birkat Hamazon (grace after meal). We also sing Hatikvah, Israel’s national anthem, at Flagpole every evening before entering the dining hall for dinner. 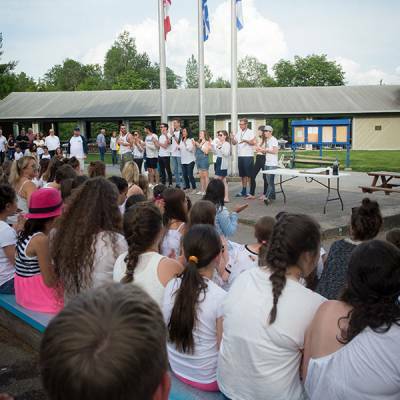 Every Friday evening, campers and staff gather together dressed in white for a Kabbalat Shabbat service, Israeli dancing, and a special Shabbat dinner. 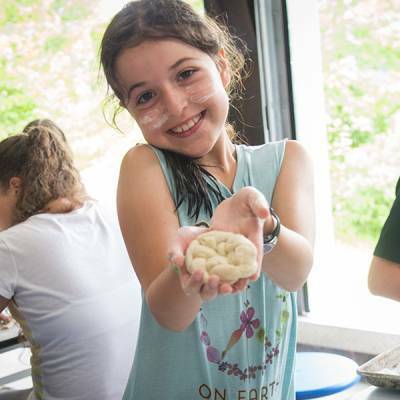 Saturdays change the pace of the week with breakfast in each individual unit, creative and fun Shabbat services, special Shabbat-friendly programming, and camp-wide bonding time by the waterfront. Shabbat ends with our beautiful Havdallah service under the stars, some camp-wide karaoke, dancing, and a look forward at the week to come.